This app is just a list of super foods... Type super foods in your Internet search engine and you can get this same information (for free). To get a more comprehensive list of foods, recipes and all the other info you think you'll get, you'll have to purchase additional bundles - yes, with an "s". Three additional and separate bundles to be exact -adding up to about $4.99. I like this app: it's easy to navigate and has some good information. However, it seems like there are lots of super-foods missing. The list is less comprehensive than I thought it would be. I did notice they now have a section where you can buy more food groupings. I thought that is what I already paid for! This should have been included as an update, not an up charge! Bought Superfoods when it first came out and didn't think it could get any better. With the add-on packs (I purchased all three), it's even more fantastic. Incredibly thorough, lots of simple, nutritious, creative recipes. 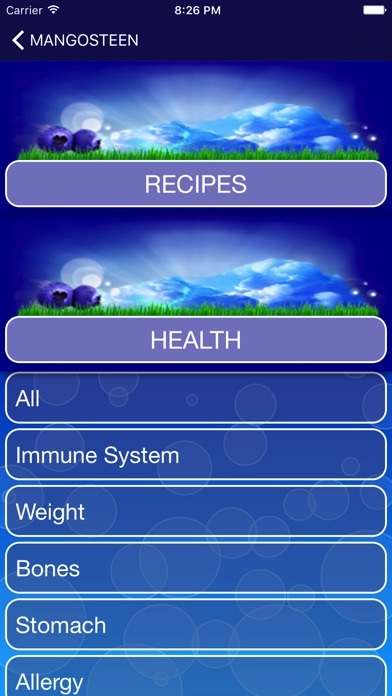 As a certified holistic nutrition consultant and a vegan of four years, I confidently recommend this app to anyone interested in embracing wellness. This app is a staple. Incredible reference material right at your fingertips. Can't wait to see the new foods that are on the way. Will be the icing on the cake. Great information, educational, interesting recipes. I love this app. I also purchased the additional libraries. Reasonable price. Highly recommended! Cons: Lots of hyperbole and occasionally sloppy spelling and grammar. Could use references. Pros: Graphics and interface very good and does contain helpful information and recipes that I will use. This Is a WONDERFUL APP!! I love it SOO much!! I just bought it and I KNOW I will use it ALL of the time!! Thank you so much Silver Beech Studios!! Im in love with this application! One of my top favorite applications! Im in love! Thank you for this great app! Keep it up!! Only has a few super foods to choose from. Although the app hasn't been updated in a while, the information provided is excellent. Love it! So helpful and aids in awareness and inquiry! A must have! I like the content, but the app lacks a clean smooth design. It's definitely not retina. Lots of good info, but it would be nice if I could incorporate my own information (where to buy, my recipes, related web sites). My name is Tammy I'm 30 years old I was diagnosed with fibromyalgia when I was 25 three months later I found out I had cancer a year later I beat the cancer but was still in a lot of pain. But I've heard from Quite a few people that if you become a vegetarian or vegan It can drastically change how you feel on the inside. I've even heard people that have gone into remission from there Fibromyalgia just because they become vegetarians I hope this is true and I'm going to take this seriously and do whatever I can and learn more and more from your site. The only thing is I don't like to cook so I wish there were more recipes on your site thank you for Of the information that you've helped me with so far! 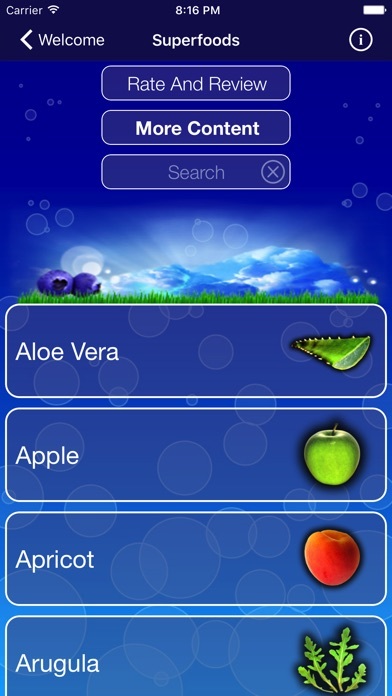 Even though it does give you information on fruits and vegetables, it only gives you just a few items to look up. You have to continue to purchase new packages of fruit and vegetables. You can easily Google that information. Do not buy this app. Love the app! Tons of info and great recipes. BUT where's the kiwi fruit! Those babies have lots of vitamin C, potassium, and phytonutrients! Just saying! A taste of bad grammar. Good, informative app but the misuse of words cheapens it. Check "pomegranite" and how they use "there" instead of "they're" twice in the same paragraph. Btw, aren't onions & peppers superfoods? At first it was just a list of superfoods with some good nutrient info...now it is evolving into much more with recipes, helpful hints on uses, storage and more plus the ability to save recipes in Evernote. Informative and nicely designed app. Nice photos as well. Worth having. Highly recommend this app. I love this app. I can now know what foods help which body parts. It also gives several ways to prepare them. This is a wonderful reference source for all super foods and the organs or functions they support. It is indispensable in supporting a healthy lifestyle Foods are all in one place at a glance to assist you in tailoring your diet for your health needs. So easy to navigate. So many resources. So much information. Overall, a nicely rendered and useful app! 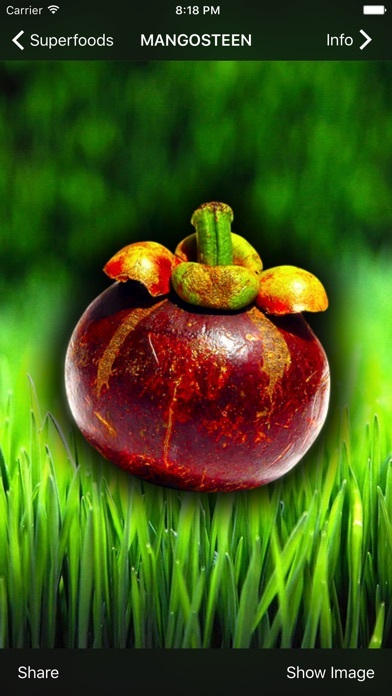 It summarizes many of the best superfoods. I would like more detail in some health categories and maybe links to other resources. Why not? In-purchase apps also good, could use expansion. A must for next update!!!! This is an amazing app! a must for the next app update should be a way to bookmark your favorite superfood so we can access the recipes faster and in history! Nice job overall! A lot of beneficial and motivational information! 4 stars... Where's the 5th star baby??!! Very helpful info. Appreciate the breakdown of all these amazing foods. Good job guys! I think this is my first low rating for an app. But this app has good information but is missing a lot of the Super Foods and personally I would like to be able to find new ones and be able to get cooking ideas for any of them. The app misrepresents itself by only giving limited information and is never adding new things. Fluff, nothing to see here. "Superfoods" are a wonderful subject and they have huge potential bearing on health and healthcare. Beets are my own favorite super-healthy food, and I'm always looking to weave more highly nutritious plants into my meals. So I bought this app. Unfortunately the develpers are too light on substance (published science) to buttress anecdotal claims about "superfoods". In-depth factual background, perhaps with links, from believable sources could and should be an option given for those who pay for this app and need to go deeper than simple assertions. The information given is at the level and depth of those free, ad-filled magazines at the entrance of any health food store. The developers haven't even discovered what a spellchecker is. As is, as others have noted, the app actually costs an *additional* $4.99 more for the complete list. The graphics and overall presentation are hokey and boring, and, like the text, mediocre. The devs, like some of the hyperbolic reviews here, rely far too much on exclamation points (annoying!). Too bad, because this is an app which could have the potential to help and heal. It would be swell if the devs would listen to review observations (including criticisms), and take it up a notch, but the app has been unchanged for a year (despite the claim in the app description) other than additional marketing links. 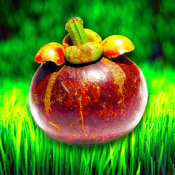 I would like to see a quality superfoods app. This isn't it. Im finally 'Getting the glow' I've never had more energy. My skin has never been more clear. This app has literally changed my life. Easy to follow app with great and useful information. I will certainly use this for quick reference during coaching sessions. This app is not working has not for three weeks. It will not install. 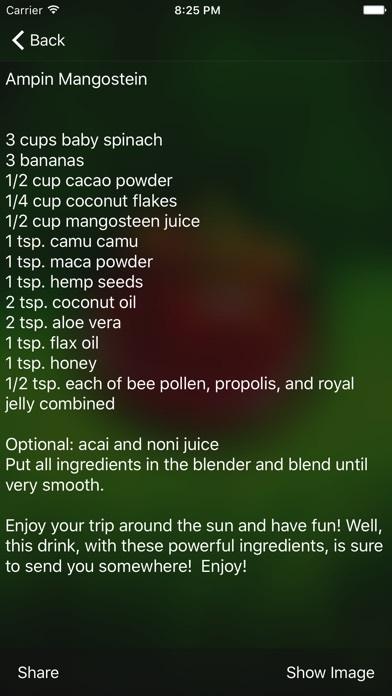 Being a recent convert to juicing, I was so excited by the reviews of this app. A quick scan of the recipes shows some really great food and juicing recipes. Two things that prevent me from giving this five star: 1) limited amount of recipes for each superfood listed (even after buying the recipes for the additional foods); and 2) no way to print...or even email to myself. Can only share with FB, which is silly. If there was a print or email function, that alone would probably bump the rating to five star. 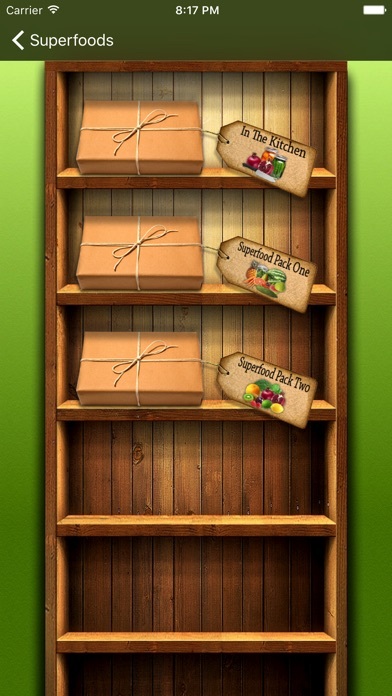 I just purchased the Superfood had app, but it doesn't come up. Does this app actually work? Is there anything in it? Does it really exist? Will I get my money back? All these questions and more, I hope will be answered soon.